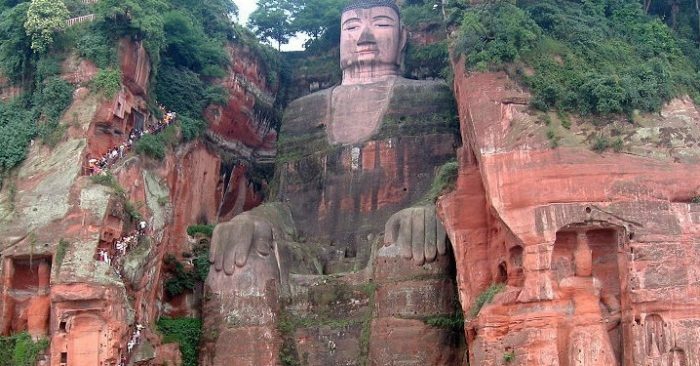 Leshan Giant Buddha. Credit: Wikicommon. Huiyun was a monk from a monastery in Luoyang during the Tang Dynasty. In the first year of the Linde era of Emperor Tang Gaozong’s reign (A.D. 664-665), Huiyun, at 10 years of age, decided to become a monk. His father was very open-minded and knew that cultivation in Buddhism can sow good seeds for the whole family. To fulfill Huiyun’s wishes, he sent him to the monastery. 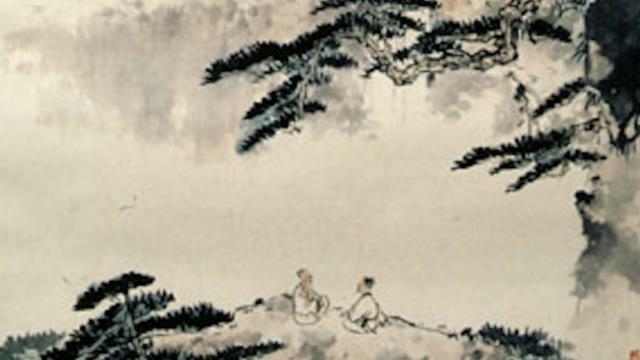 Huiyun grew up and traveled to many places with a begging bowl in his hand to collect alms, as well as to open peoples’ hearts and minds to awaken them to the cause and effect of their deeds. In the first year of Chang’an (A.D. 701), Huiyun was at Guan Liang, which is today’s Kaifeng area. He stayed overnight at Fantai and saw a strange sight moving toward the sky on the northern bank of Bian River. Huiyun walked to the bank of Bian River to have a closer look and saw a magnificent view of heavenly palace (Tiangong) reflected in the pond just like the world of Maitreya. Huiyun was overjoyed and vowed to build a monastery at the same location, as well as build an 18-foot-tall statue of Maitreya. During the reign of Jinglong, Huiyun completed the construction of the Maitreya statue with donated funds. Coincidentally, on that year in the sixth lunar month, Tang Ruizong ascended the throne. In the first year of the Yuanhe era (A.D. 806-820), Wang Zhiyin, an official for justice, traveled around to announce the Emperor’s decree that all monasteries built without official permission would have to be demolished, and all the bronze statues had to be placed in nearby monasteries. Huiyun prayed in front of Maitreya’s statue and with tears in his eyes, sadly said: “If I have an affinity with this temple, please show a sign to awaken the people.” All of a sudden, Maitreya’s statue shone gold and brightened up the surrounding area. The people in the city were astounded. When word went round, people came to burn incense and worship Maitreya. Those who had insulted the Buddha suffered from their wrongdoing. They became blind with swollen tongues. After they sincerely repented before Maitreya’s statue, they were able to see and speak again. From then on, they frequented the monastery daily to help with the cleaning and sweeping. Looking at the auspicious phenomena, Wang Zhiyin was very touched. 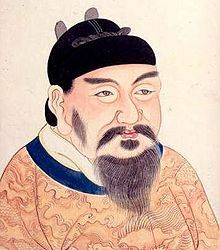 He reported back to the palace about what had happened and pleaded with Emperor Tang Ruizong to preserve Jianguo Temple. 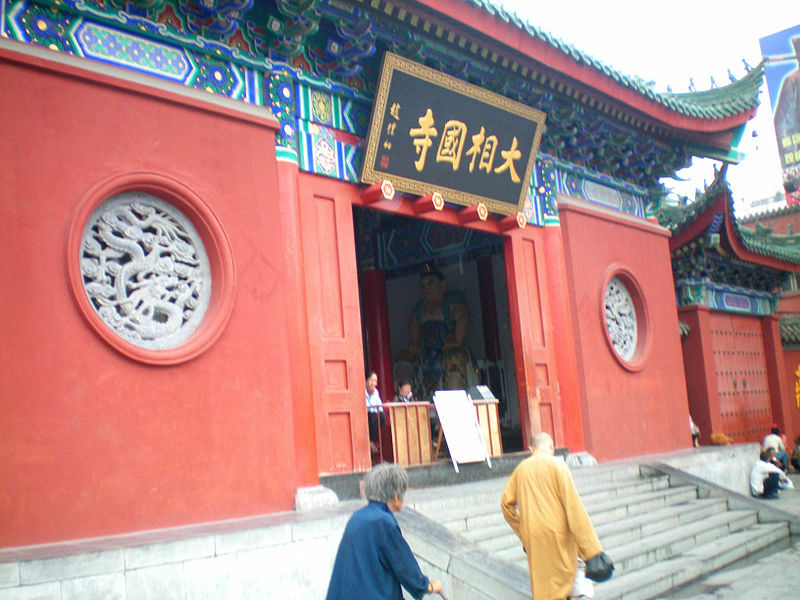 Tang Ruizong, a believer in Buddhism, decreed that Jianguo Temple was to be preserved and changed its name to Xiangguo Temple. When Tang Ruizong ascended the throne, it happened to be the day when the statue of Maitreya was completed. After Tang Ruizong abdicated the throne, he personally wrote a poem for the Xiangguo Temple. During the Song Dynasty, the name of Xiangguo Temple was preserved and it was expanded to become a royal monastery of the Northern Song Dynasty.